The linux terminal is not always dull and boring. There are commands to make it do some funny acts to entertain the user. Here is a small collection of such commands. Cowsay is a talking cow that will speak out anything you want it to. $ cowsay "Hi, How are you"
Dragons, elephants, koalas and lot others. The cowsay command supports quite a few options to modify the behaviour of the cows. Check the man page. The cow can do more than just talking, it can even think. To make the cow think, use the cowthink command. $ cowthink "Hmm, I didn't know that"
All animals of the cow zoo can think, and command is similar to the earlier one. The sl command has 2-3 additional options, that can be found in the man pages. The figlet command can be used to draw large sized text banners. I remember seeing such banners as the welcome message of socket daemons/services, when connecting via telnet. 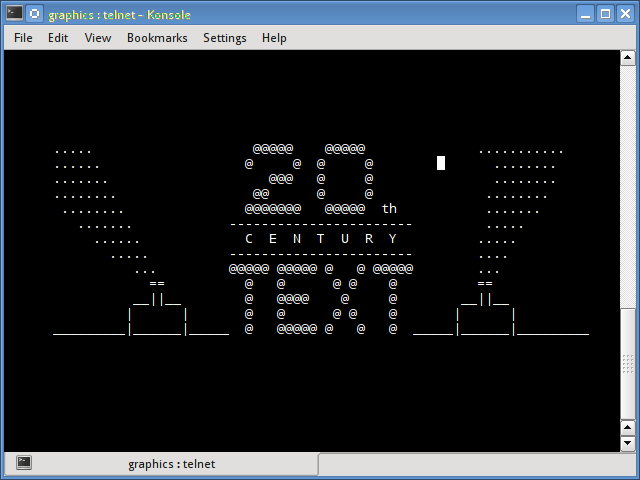 The toilet command is similar to the figlet command, that it draws large sized text banners using smaller characters. ## ##" #""""    #    #      #   #  # # #  #""""
#   #  "#mm"    "mm  "#mm"  "#m#"  # # #  "#mm"
The banner command too can print banners like figlet and toilet but it is very limited. No options and can print only 10 characters at most. The fortune command will put up a random, but hopefully sensible quote, or your fortune for the day. Don't tell any big lies today. Small ones can be just as effective. The s option tells the fortune command to generate only small sized messages. 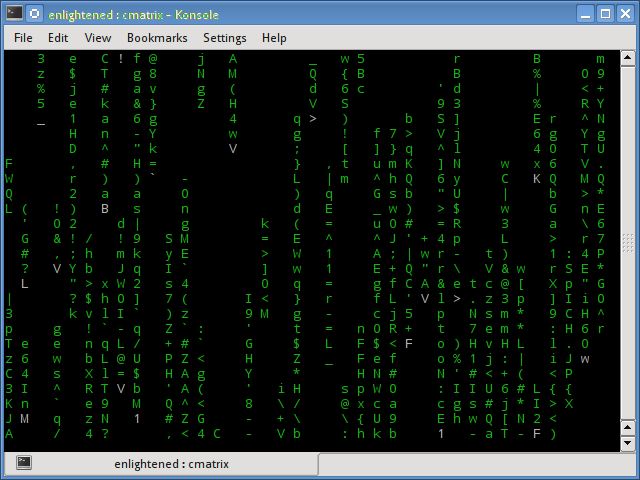 The command cmatrix draws the Neo style matrix on your terminal and makes you feel a little more geekier. The aptitude command moos a bit reluctantly and here is how to make it do so. You have to keep bugging aptitude with the verbose option to get the easter egg. This is not actually a command, but a text animation broadcasted at towel.blinkenlights.nl and can be played inside the terminal by telnetting to the server. So if you have been sitting on the terminal for long and want some entertainment, turn it on. The yes command will go on printing the same thing indefinitely until stopped by a Ctrl+C. The command apparently appears to have no use, but in scenarios like software testing it is often needful to produce large amounts of junk text quickly and that is where tools like this come in handy. This command would print out all the lowest common multiple (LCM) factors of any given number. If you still remember your school maths, factoring a prime number would produce only the number itself and no factors. The pi command prints the mathematical constant PI to any number of decimal figures. So lets print it to the first 500 figures after decimal. xcowsay is the gui version of the cowsay command, and you need a running desktop (X display) to use it. It cannot work solely from a terminal. Xeyes is also a gui program that draws a pair of eyes on the desktop which follow the mouse cursor. The eyes would look where ever the mouse cursor goes. Spotting the Linux mascot above should not be difficult. 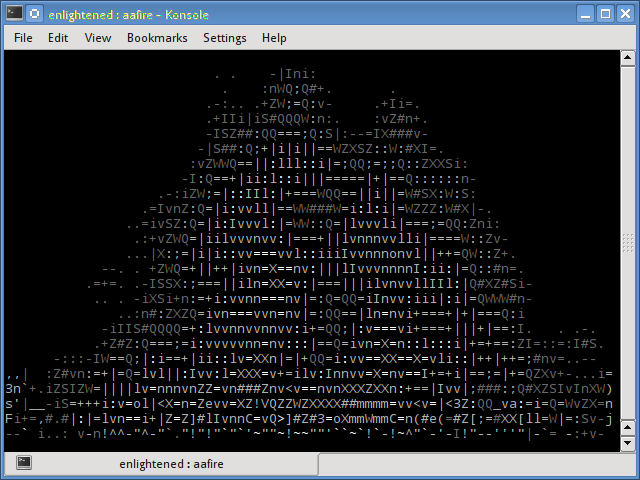 The next command is aafire and it too is an asciiart animation that renders a burning fire on the terminal. 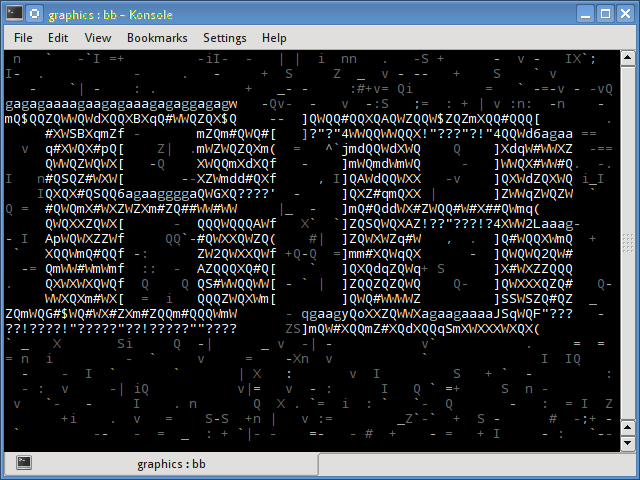 bb is a high quality audio-visual demonstration for your text terminal. It is a complete animation that draws using pure text and has background too. Very interesting to watch. espeak is a multi lingual software speech synthesizer. It can speak out text using stored sound files and patterns. And the best part is that it is a terminal application. 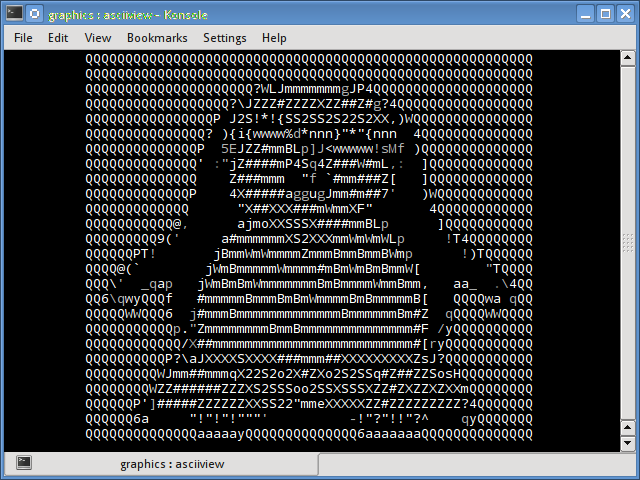 $ espeak "Hello Linux, where are the penguins"
It is capable of pronouncing complex "proper name" words. So that was it, if you know about more such command line toys, then let us know in the comment box below. The rig command generates random and possibly fake identities.